Harvey Barnes capitalised on Bailey Peacock-Farrell's poor distribution to make it 3-0 (82), before substitute Dwight Gayle stylishly backheeled home after Jay Rodriguez's effort was blocked (83). Pablo Hernandez's looped header reduced the arrears (90+2), but the collapse of Marcelo Bielsa's men means they drop to third going into the international break, with the Baggies recording their first win in five. 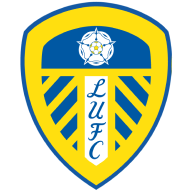 Leeds were slick in their approach play, but Hegazi was a prominent figure in keeping their forward line at bay, while Sam Johnstone's first real involvement only came after 37 minutes when he blocked Mateusz Klich's snap-shot. 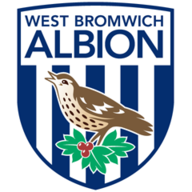 Former Baggies trainee Kemar Roofe was denied a penalty when he felt he'd been fouled by Dawson after the break, but from the subsequent counter-attack, Robson-Kanu struck after Rodriguez swept the ball out to the left. Phillips evaded the challenge of Mateusz Klich in the centre circle, drove forward and struck a shot from 25 yards that the Leeds stopper should've done better with, but from thereon in, Darren Moore's side turned on the style. 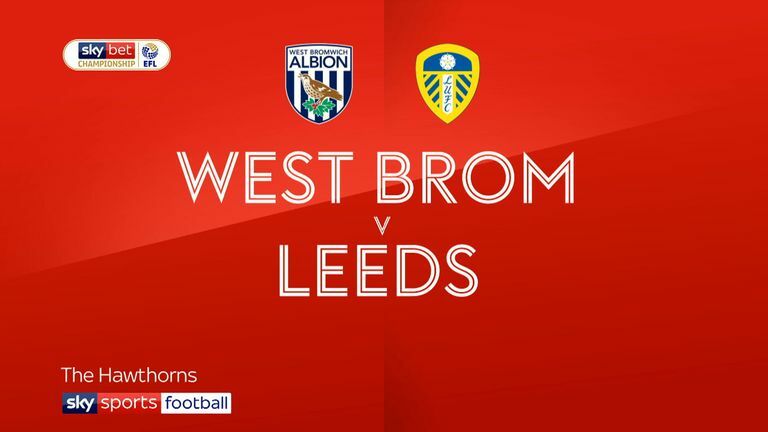 Darren Moore made two changes to the side that lost to Hull last weekend as Chris Brunt - who sat out with a hamstring strain - and Conor Townsend were replaced by Hal Robson-Kanu and Kieran Gibbs - who had been sidelined with a hip injury. With nine minutes to play, Barnes slotted Adarabioyo's pass home, before Gayle scored his ninth of the season with an audacious close-range backheel. Pablo Hernandez's looping header from Samu Saiz's dinked pass softened the blow, yet the timing of the goal meant it was a mere consolation in a crushing defeat. Darren Moore: "Today was about performance, we just wanted the performance. It was just three points that were available but the biggest thing for me was the performance and the boys [gave me] that today, right from the first minute to the last. "We always felt that [we could achieve a result like that] if we continued to work. Not having a midweek game allowed us to put in some good quality work on the training ground and we utilised that to great effect today." 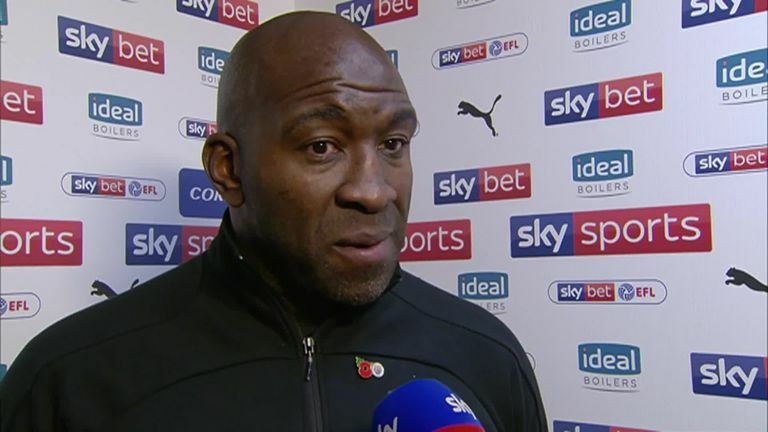 Darren Moore was delighted with West Brom's performance in their 4-1 win over Leeds. Marcelo Bielsa: "The opponent deserved to win but I think the score was a little bit exaggerated. The project of the opponent's play required us to lose the ball in our own half and they could counter-attack. We knew that was their main weapon. "The kind of game we played was the one we were trying to avoid and when this happens we have to oppose the project of the opposite team. We couldn't neutralise them but we knew their kind of features and that's why I feel responsible for the kind of way we played." 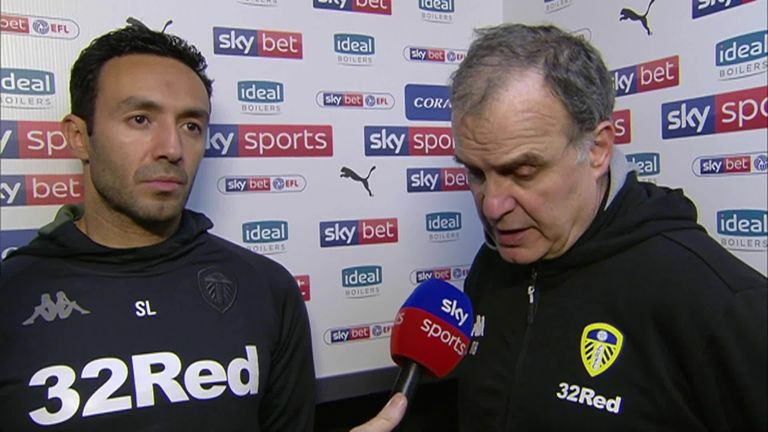 Marcelo Bielsa was disappointed with Leeds' game plan against West Brom and blamed himself for their 4-1 defeat. After November's international break, West Brom are back in action on November 23 as they face Ipswich, live on Sky Sports Football. Leeds, meanwhile, get back underway the following day as they host Bristol City at Elland Road.